Many individuals wonder how to get data off iPhone without passcode. Such requirement occurs when you have forgotten the passcode of your iPhone and you still need to acquire the files available in it. However, under general circumstances, users should possess substantial knowledge about iOS to acquire data from an iPhone without using passcode. In other words, bypassing passcode is a substantially difficult task unless you are an expert. But the good news is that it is still possible to accomplish this task. If you need to know how to get data off iPhone without passcode, you are reading the right article. Before we learn how to acquire iPhone data without using passcode, let’s learn some instances in which you might need to get data off iPhone without passcode. If you come across any of the above situations, you will definitely have to seek the assistance of an advanced solution. In other words, it is actually POSSIBLE to retrieve data from an iPhone without using its passcode if you have the correct tool with you. We have come to know that many individuals try to bypass iPhone passcode and fail as they use wrong methods. If truth to be told, Apple uses a very strong security on their devices and bypassing the locks is not a walk in the park unless you have the perfect tool. This is when a tool like iMyFone D-Back comes in handy. iMyFone D-Back is a highly versatile tool tool that is empowered with a large range of features. This software is developed to address a variety of issues that can occur in iOS devices. As we believe, iMyFone D-Back is a tool every iPhone user must have. With the assistance of this tool, you can rectify a multitude of errors related to iOS devices. Download the free trial version now. 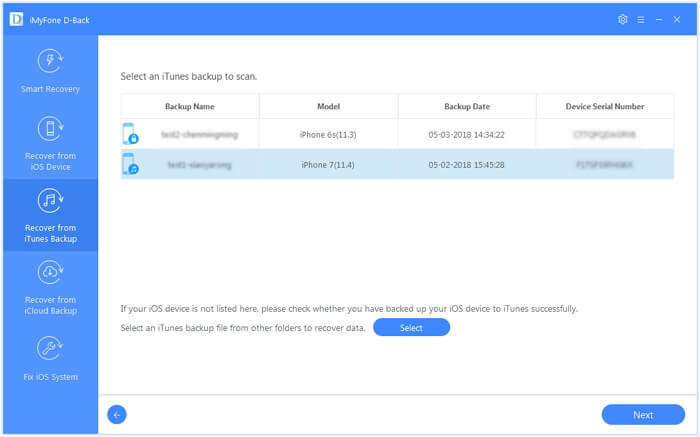 If you need to get data off iPhone without passcode due to one reason or another, check if the respective data is available in your iTunes backup. To check the data available in iTunes Backup, please follow these steps. Step 1. 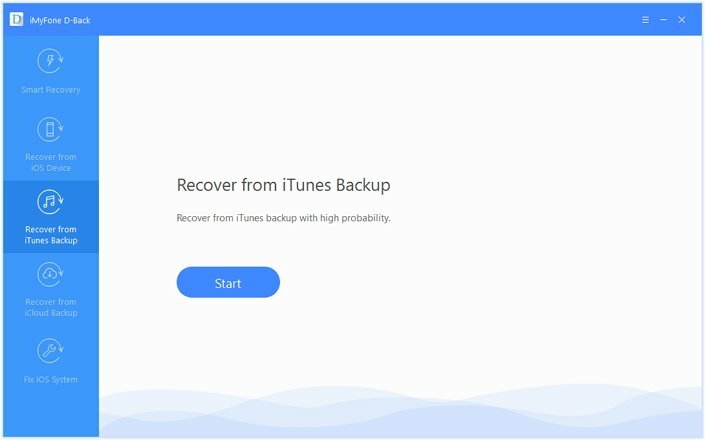 Click on “Start” option found under “Recover from iTunes Backup”. Step 2. Now, you will be able to see a list of iTunes backups. Select a backup and click on the option “Next”. If prompted, provide the password to decrypt the backup. Step 3. 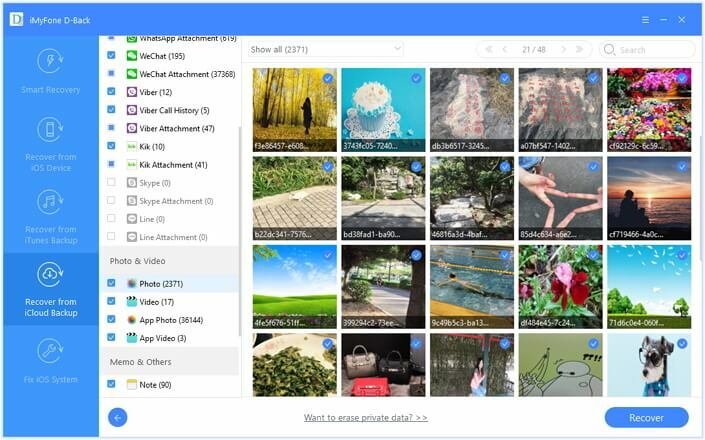 Select the types of the files (for instance, photos) and click on “Scan” and wait for a moment. Step 4.You can now have a preview on the available files and decide if you have selected the correct backup. Step 1.To initiate the process, you should click on “Start” button located under the tab labeled “Recover from iCloud Backup”. 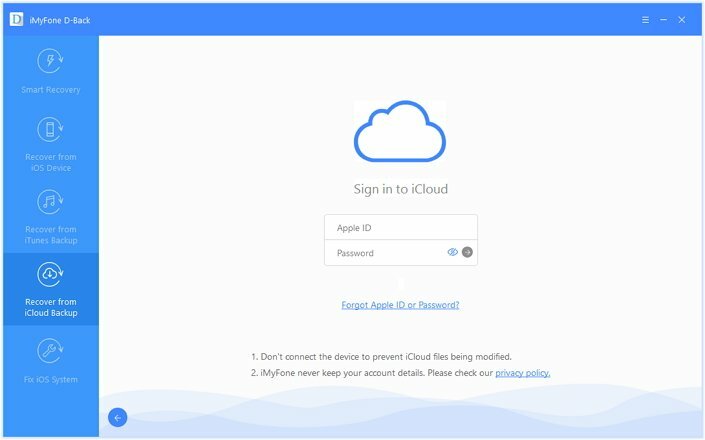 Step 2.Now, you should provide the credentials associated with iCloud (please note that iMyFone will not store or share any of your personal information). Step 3.iMyFone D-Back will now search for all the potential iCloud backup files in the account. Then, you should pick a backup from the available list and proceed by pressing “Next” option. Step 4.You can choose the type of the files that you intend to recover and hit “Scan”. Wait for a couple of minutes for the process to be completed. Step 5.Once the scan is completed, all files will be organized perfectly. 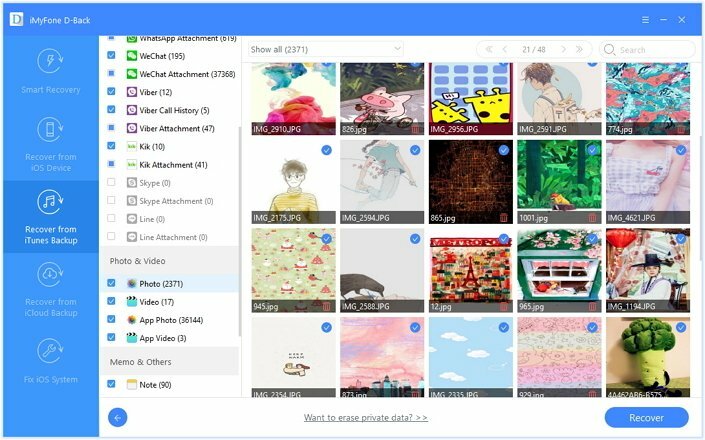 You can preview the files and decide if you need them. Now, let’s see how to get your precious data off iOS devices without passcode. In this case, you need connect your iOS device to a computer in which iMyFone D-Back is already installed. In order to get your data back, the connected computer must be trusted by your device. 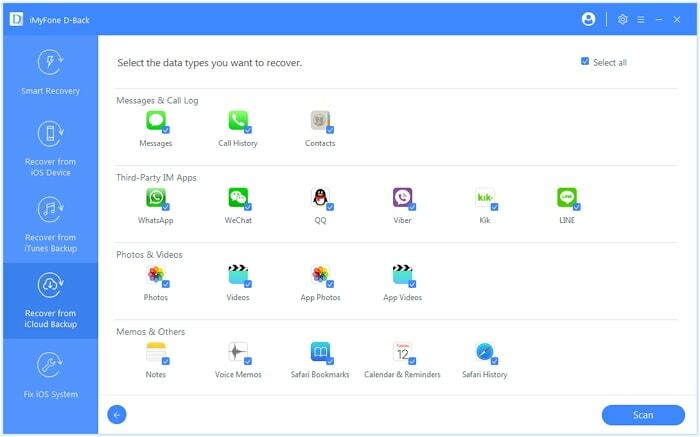 However, if the device doesn’t trust the computer, you will not be able to recover the data anymore. Those who experience such issue, therefore, should proceed to the next phase. Here’s how to get data off iPhone backups. If your iTunes backup contains the data you are looking for, all you need is to follow the steps mentioned in Phase 1. 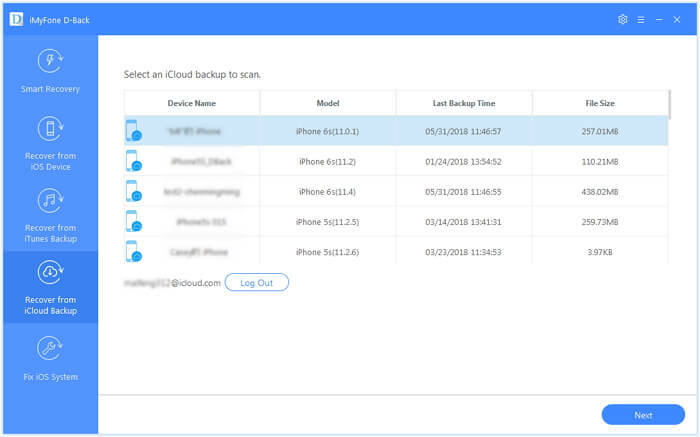 You can follow the instructions provided in Phase 1 if you need to get data off iCloud backups. In certain cases, you will need to remove the screen lock of your iPhone or iPad. If you are in need of such, you can seek the assistance of iMyFone D-Back. It has a feature called “Fix iOS System” with the advanced mode. However, you must know that your data will be completely gone upon performing such action. 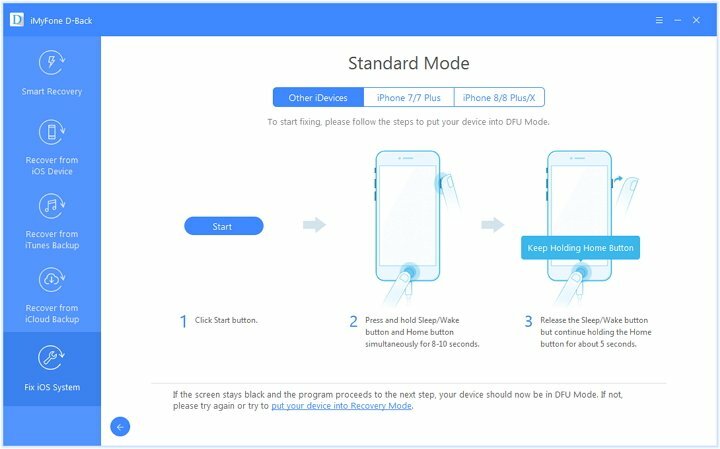 Let’s take a quick look at on how to use advanced mode to remove screen lock of your iOS device. Step 1.Choose standard mode to continue after launching this program. Step 2.Now you should put your iOS device into DFU/Recovery mode. Step 3.Once the device is connected to the computer, iMyFone D-Back will automatically seach for the corresponding firmware. 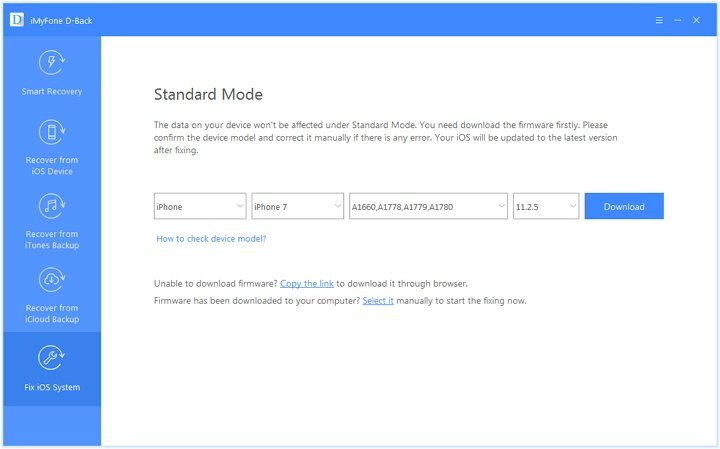 Once the firmware is found, you can click on “Download” button. 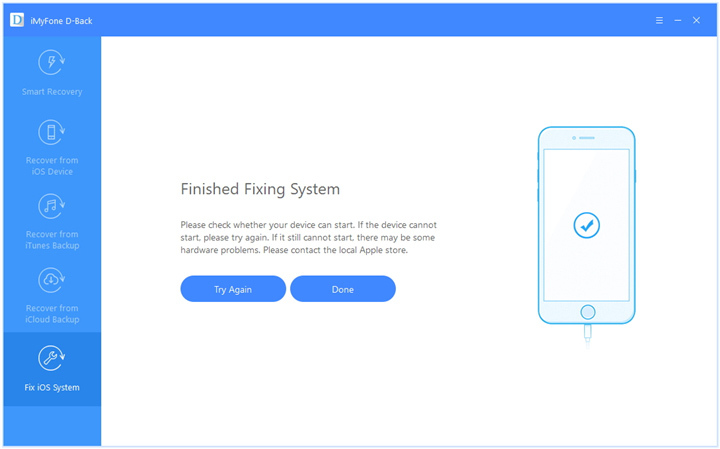 Step 4.Newly downloaded firmware will be installed on the device and then, it will start repairing any issue associated with the device. Then, the device will start as a newly bought iOS device. We strongly suggest you create regular backups of their iOS devices without fail. Such approach minimizes the risk of losing your valuable data in the event of a software or hardware issue. It is a better approach if you can keep your backups in a separate storage device (a computer, external hard drive, etc.) for additional protection. Also, we encourage you to have a reliable anti-virus program installed on your iOS device in order to prevent potential malware attacks. We encourage you to go through the instructions we have provided and get data off iPhone without passcode. 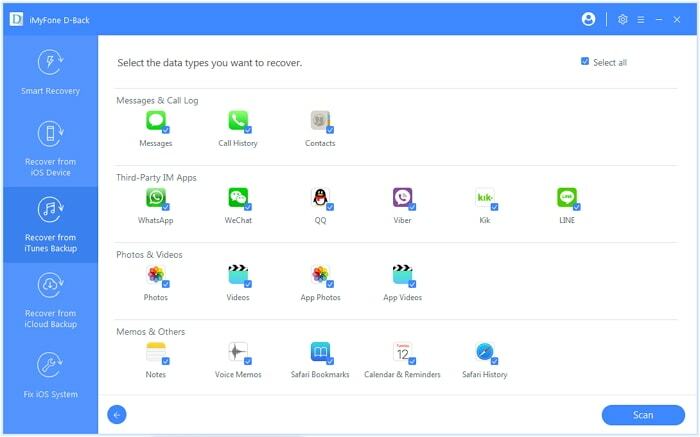 If you use a software like iMyFone D-Back, you don’t need to worry about reliability and efficiency. We highly appreciate if you can leave us a comment about the overall experience you have with the method we presented. Your feedback is precious for our readers and for us.